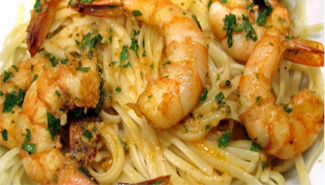 If you love shrimp scampi, this is the recipe for you! 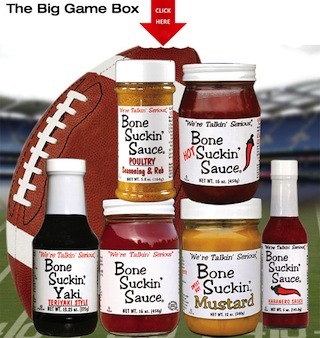 Bone Suckin’ Seafood Seasoning & Rub, 1 Tbsp. Heat butter and oil in large skillet to medium high. Place shrimp and Bone Suckin’ Seafood Seasoning & Rub in a resealable bag and shake to coat. Add shrimp and garlic to skillet. Let shrimp cook for 2 minutes per side. Turn off heat, add lemon juice and parsley to skillet and stir. Ladle shrimp and sauce over gluten free pasta. Recipe serves 4.